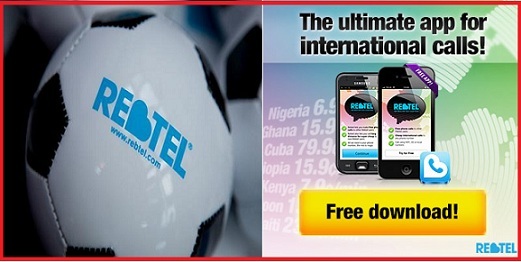 Free Calls to Mexico Mobiles Using Rebtel Application | Free Pc to Phone Calls, Free Voip Calls to India International ! Mexico is one of the most called destination in the world (apart from Asian countries like India, Pakistan). And because of this reason we started exploring the cheap and free options for calling Mexico. It was no surprise that lots of voip provider offer very cheap calls rates to this country. Infact many calling cards also offer highly cheap calls to Mexico. But this does not mean that you start using any random calling card or voip service (only considering the rates). We have to choose a voip provider which not only offers cheap rates but good voice quality and great customer support. Rebtel (one of the biggest voip provider) is also offering very cheap calls to Mexico. It is now offering just 1 cent a min so that all the Mexicans living in USA can connect to their loved ones in Mexico. Its actually result of the war between prepaid calling card industry and voip industry that has prompted Rebtel to slash their calling rates to Mexico. A Rebtel survey this month showed that 79 percent of participants believe they had consistently received fewer minutes than promised by calling card providers. With Rebtel there is no charge to set up a Rebtel account. No monthly fees. No connection fees. No hidden costs. Rebtel works with any phone – even the most simple, cheap mobile phone – without modification, software downloads or changes to the user’s calling plan with their cell phone provider. From calling USA to Mexico, Rebtel offers 1.9 cent per minute to call Mexico landline phones and 9.9 cents/min to call mobile phones. You can also use Rebtel app on your android mobiles, iPhones or Blackberry mobiles for cheap calling to Mexico. It also offers a PC application for making calls. The usual method of calling (local access) is still valid and works great. To bring to your notice Mexico is one of the 50 Countries (Rebtel Supported). In the 50+ countries listed below, you can also use Rebtel's local numbers to call your loved ones abroad. You use your regular operator for the local call, but the international part is connected by Rebtel over the internet! Best of all, you can use any mobile or landline when calling with local numbers. When you use our new Rebtel 2.0 applications, you can even switch from a WiFi or 3G data call to a local number in the middle of a conversation. For Free Call, simply call your friend using the local number you got from Rebtel. When they pick up, ask them to hang up and call you back while you stay on the line. You see, when you call a friend in one of the 50 countries where Rebtel is available, a number that is local to your friend is displayed on their phone. When they call you back up, the call is instantly connected and you can talk for as long as you like without paying anything. Do you know that you can also use Rebtel service for sending free or cheap sms. Shoot them up in the comment section and we will be happy to help.